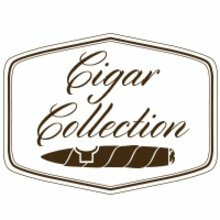 World renowned for creating some of the finest super-premium blends on the market today, Kristoff cigars have built their solid reputation using double and triple fermented Cuban-seed tobaccos from the most fertile growing regions in Honduras, Nicaragua, and the Dominican Republic. The extensive portfolio of Kristoff cigars come dressed in your choice of Nicaraguan Habano, Criollo, or Brazilian Maduro wrappers, all offering their own distinct character and taste. Now you can enjoy the entire line, thanks to the Kristoff Collection, a top-notch sampler box featuring 8 ultra-delicious cigars in their very popular 5.5" x 54 size. This is my 2nd 8pk. The draw, construction, consistency of all of the cigars where some of the best I've had so far. Each stick has its own flavor all of which were individual in their own way. The spicy, leathery, sweet Maduro and Corojo wrappers were very flavorful. From the mild to the bold made the 8 pk very unique. Some had hints of cocoa, coffee, ceder and earthyness, while some had a pepper, bold leather and hints of sweetness, and a nutty or nutmeg flavor to round out the sticks. I was so very pleased with each one that I smoked and always looked forward to my next evening sitting on my front porch watching the sun set while enjoying a different flavor each day. My wife loved them also. The pleasent smell and wonderful flavors made it hard to get my cigar back from her when she wanted to have a sample from each one. The only other smoke that can stand up to the Kristoff would be the JR Ultimate Oscuro sticks. My advice would be to give these Kristoffs a try and then you'll see what I'm trying to convey to you in this review. Packaged well, everyone dry as a bone. Smoked the same! Why I waited weeks to order these fantastic cigars I DON'T KNOW . Its like anything else you get what you pay for . GREAT sampler construction , flavor, consistency, perfect ash whats not to love .Don't think about the price for a few weeks like I did . Enjoy them when you light up that first kristoff you wiil be glad you laid out the that 40 + ENJOY !!!!!! I am very familiar with the line and smoked the Brittania. Wbike the burn and consistency were typical Kristioff, the natural wrapper was too delicate for my tastes. Tore easily. Still a good stick but I also see it isn't sold here at JR. These are very good if you're willing to put up with inconsistency. Poor draw and not staying lit spoiled my enjoyment of about half of them. Otherwise, quite good. What a great discovery. Read the reviews - from what I understand, they are small (boutique)l and relatively new (2004 I believe). Even burn, great taste & that construction...it simply doesn't get any better. My new fav, and honestly, I may never smoke anything different. Enjoy. I waited a couple months to order these super premium kristoff sticks and i am happy i did! Was well worth the wait! Consistent draw, even burn, many flavorful notes very enjoyable cigars! An you get 8 kristoffs for around 40$ great price great smokes! These are my new favorite. Each one is excellent. This will likely be the only cigar brand I purchase going forward. Burn one on the beach. Great collection of flavors. Find your favorites and buy them by the box and enjoy. What a fabulous collection of sticks! My first Kristoffs-- what a great bunch of sticks! The pigtail and closed foot was an added bonus. Prefecto, well buy these again for sure !! My new top-drawer premium. Beautiful construction, from the shaggy foot to the pig-twist head. Tons of flavor and smoke, perfect burn and an aroma that makes one salivate. Can't wait to get more. Very excited about winning these. Can't wait to try them out. But if I did wait and I couldn't leave a review and I wouldn't get my for chips.